Gain a thumbs up where it matters the most! 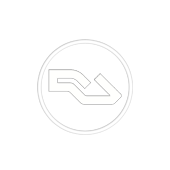 Resident Advisor members are part of our music promotion network, and we're putting their votes at your disposal. Give your music a huge nudge forward on Resident Advisor, the respected electronic music online community. With this pack, you get 100 Resident Advisor Followers. These are real users, active on some of the world's largest music markets: the United States, United Kingdom, European Union, Japan and Australia. We guarantee there will be no drop whatsoever, and also guarantee 3 months refill. So yes, promote your music away!